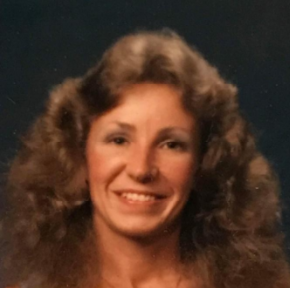 Martha Catherine “Cathy” Thomas, 66, passed away peacefully, surrounded by family members at Harborview Medical Center in Seattle WA on April 5th, 2018. Cathy was born May 5th, 1951 in Liberal, KS to Jerry L. and Grace (King) Thomas. Cathy grew up in Tulsa, Clinton, Enid OK and Yates Center KS, spent some time in Long Beach, CA then settled in Kent, WA. She attended Enid High School and Longfellow Junior High. She is survived brother David Thomas and wife Maralene of Enid; brother Rick Thomas and wife Judy of Enid; daughter Shawn Moore and husband Marc of Seattle; daughter Sarah Reynolds, granddaughters Ashley and Sophia, and great grandson, Gabriel. Cathy was an active member in the community, giving her time and resources to organizations such as Teddy Bear Patrol, food drives, Powellswood Garden Events, BuyNothing Group and Day of Caring for United Way. She often found time to assist her neighbors with their needs. She enjoyed parades, farmers markets, music, crosswords, and holidays with her grandchildren. Her gregarious personality, kind nature, sharp wit and affectionate smile will be fondly remembered by many friends, colleagues and family. A celebration of life will be held at North Hill Community Club on April 22nd from 5PM until 7PM. In lieu of flowers, the family requests that donations be made to the Children’s Hospital of Seattle.